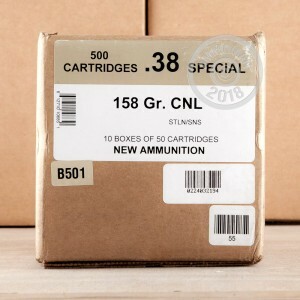 This .38 Special ammunition delivers safe, accurate performance for cowboy action shooting in both revolvers and carbines. 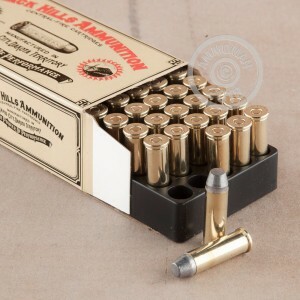 Each cartridge in this box of 50 fires a 158 grain lead nosed bullet at a muzzle velocity of 800 feet per second. The lead bullet is flat-headed for safe feeding in tubular magazines and will not damage steel targets. 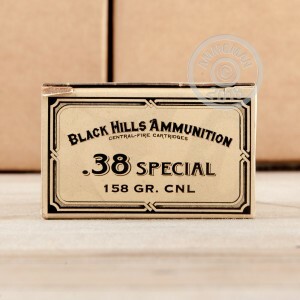 Black Hills ammo is loaded in Rapid City, South Dakota using non-corrosive Boxer primers and brass cases. Place an order for $99 or more and AmmoMan.com will provide free shipping direct from our warehouse to your doorstep.